Getting towards the completion of The Herd. Over the weekend I constructed the bases for the flying units in my army. The first of these are Mantic's Gargoyles where I have put Goethe a single Regiment. I asked Sam to paint them in fleshy bestial tones to fit the Beastmen nature of the army. They come on little rocky outcrops which I've cut down and incorporated in the base. 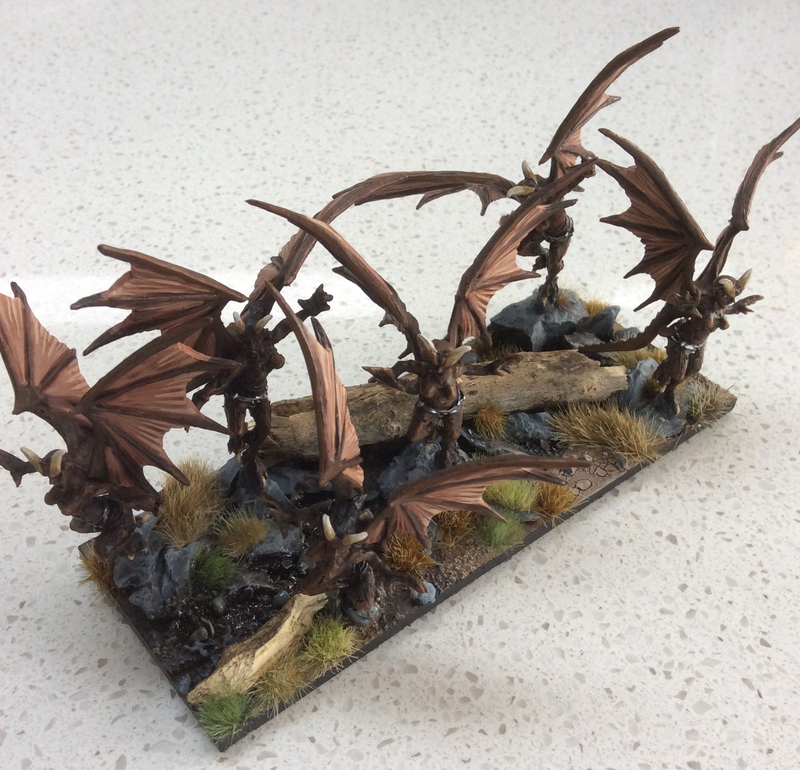 I think these are probably some of Mantic's better models and I was happy to include them in The Herd. 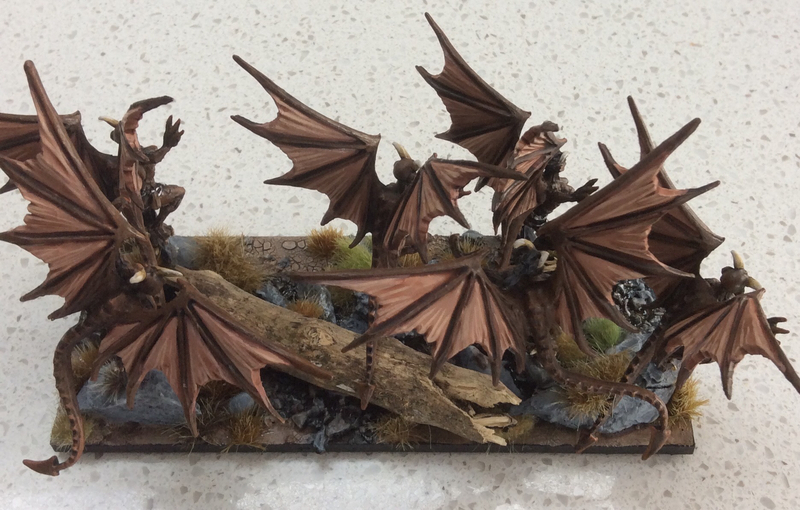 I asked Sam to make the wing membranes flesh coloured and I think that works well complementing the brown. The second unit is a Regiment of Giant Eagles. 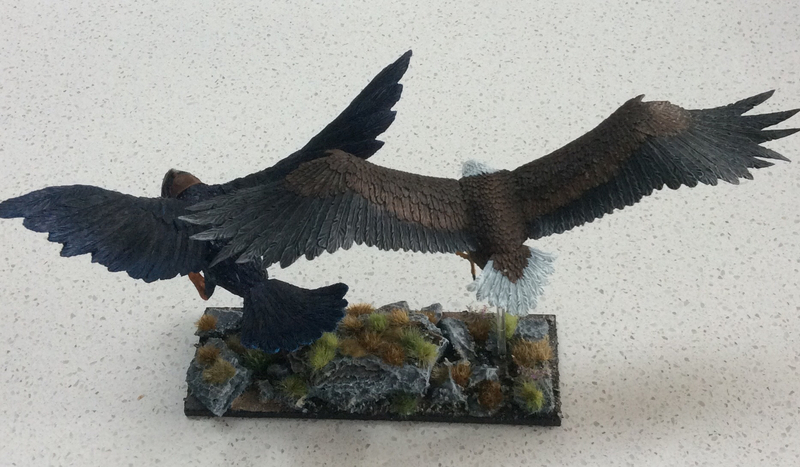 This is made up of the Giant Eagle from The Hobbit and a Giant Raven from Mierce. 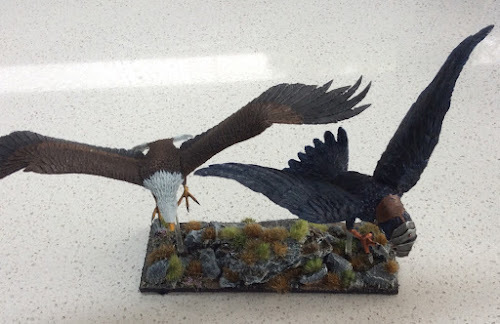 The birds both have a wide wingspan and to insulate against breakages they have been magnetised and mounted on clear Perspex flying stands from Litko. Their stands are very robust without being obtrusive. Because of the wingspan the Raven is on a lower base, effectively swooping just above ground level. 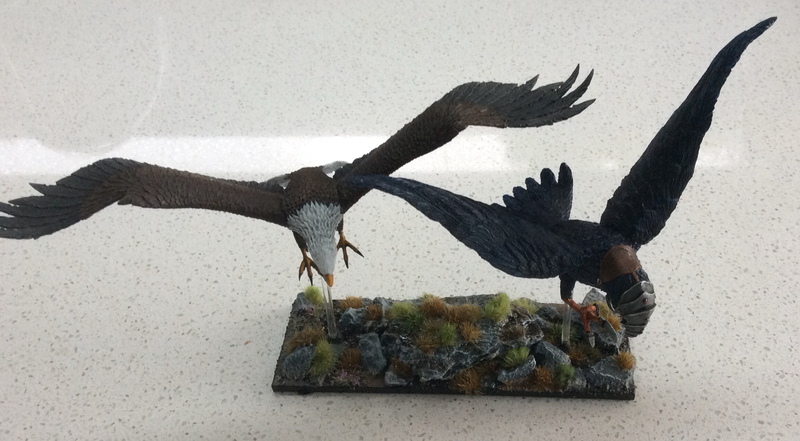 The Eagle follows close behind. The remaining units in the army are Beast Packs and Centaurs. I'll get them up in the next few days. 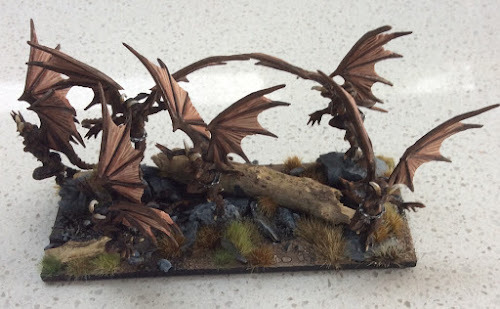 Stunning work, you are really making the most of what multi basing enables. Looking forward to seeing the whole army shot when you are finished.